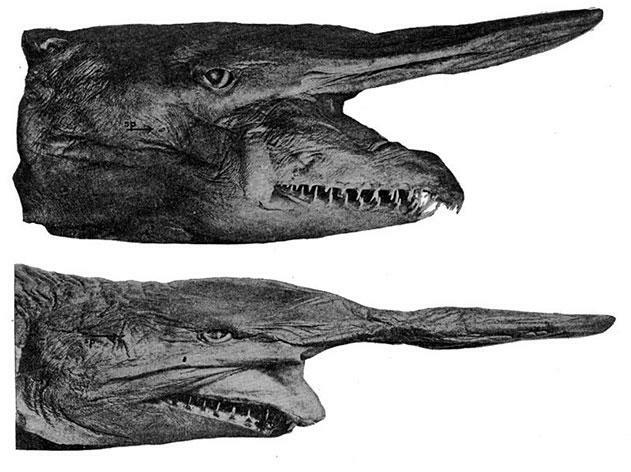 October Creature of the Week: Goblin Shark. This guy needs no makeup artist to fit right in on the set of a horror movie. It looks prehistoric, and in a way, it is. The goblin shark is a descendant of sharks that lived 125 million years ago. This modern version lives in the cold, dark depths of the ocean at more than 330 feet. Its long snout helps it look for food on the sea floor while it opens and closes it’s mouth to catch whatever it stirs up.